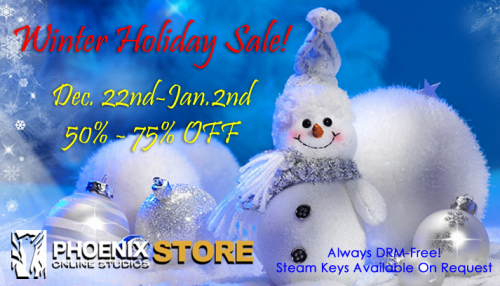 The Winter Holiday Sale Is Here! Happy Holidays! 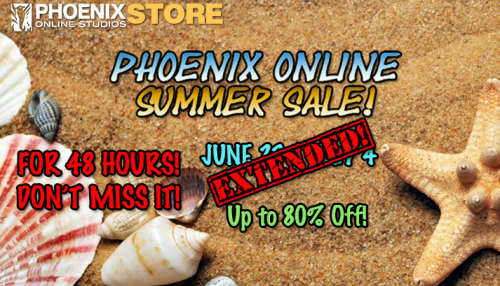 Our gift to you this year: save 50-75% off in the Phoenix Online Store from now through January 2nd! 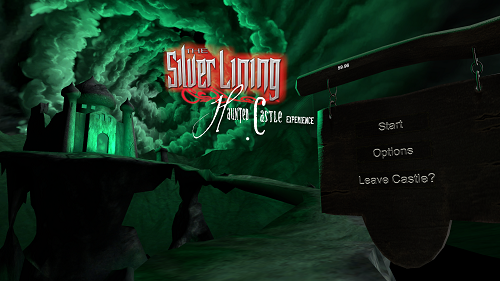 We’re very excited for 2017 and the long-awaited conclusion of The Silver Lining! As always, thank you for your support this year and we look forward to seeing what else 2017 will bring us. Happy Holidays and Happy New Year! 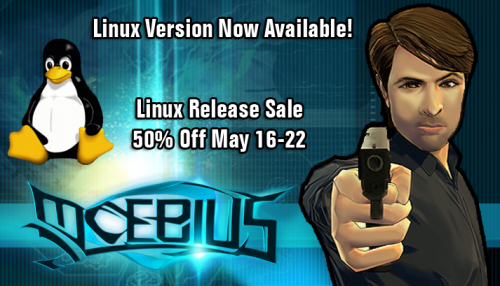 We’ve extended our Summer Sale for another 48 hours! 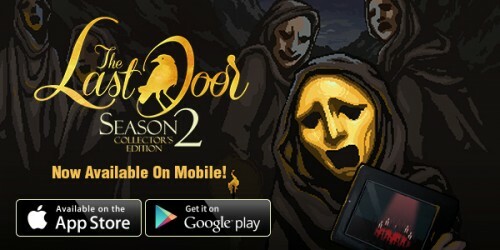 Last chance to get up to 80% off on these great adventure games – head over to store.postudios.com to get yours! Tick’s Tales: Up All Knight Is Available Now! 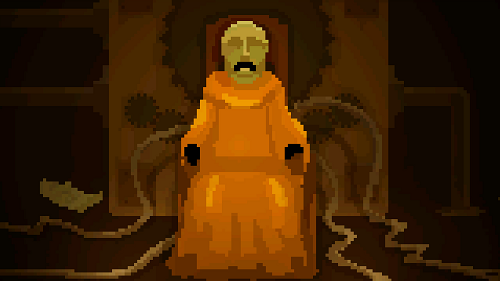 A decree has been sent forth to all the lands to announce the release of the hilarious 8-bit adventure, Tick’s Tales: Up All Knight! Be on the look-out and ever vigilant against the mischievous Tick, whose ulterior motives have sent him on a good old-fashioned quest! 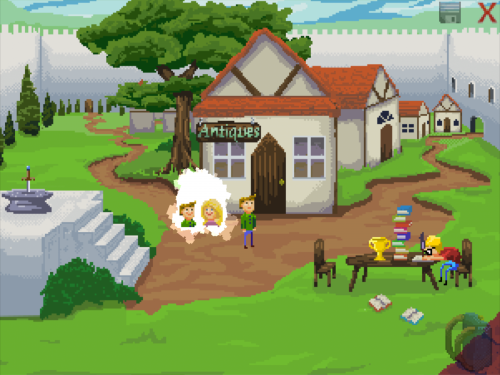 Colorful retro-graphics meet a modern comedic narrative in this send-up and homage to the classic point-and-click quest adventures. Now available for PC, Mac and Linux on the Phoenix Online Store (store.postudios.com), Steam, the Humble Bundle Store, the App Store and other online retailers for 10% off the regular price of $7.99 for one week. Neighborhood troublemaker Tick wants nothing more than to be a hero and earn the love of the girl of his dreams, Georgia McGorgeous. 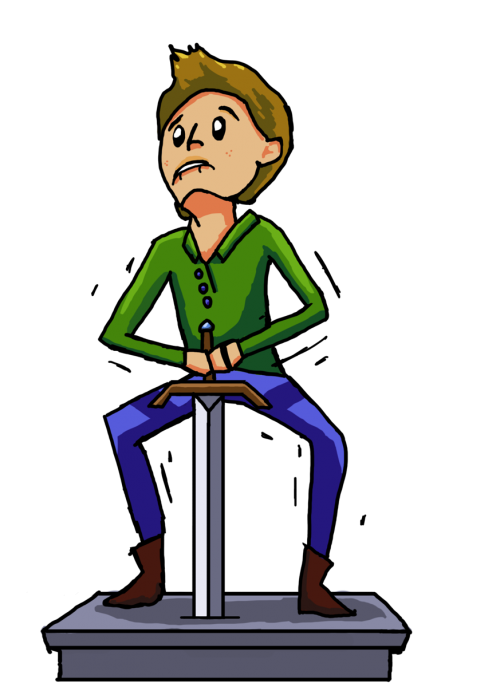 The only way is to pass the tests of Strength, Courage, and Wisdom to prove his worth and draw the legendary Sword of Blergh from the stone! But before Tick can win her heart, he will also have to save Georgia and his entire town from the clutches of the evil goblin Bloodclot! 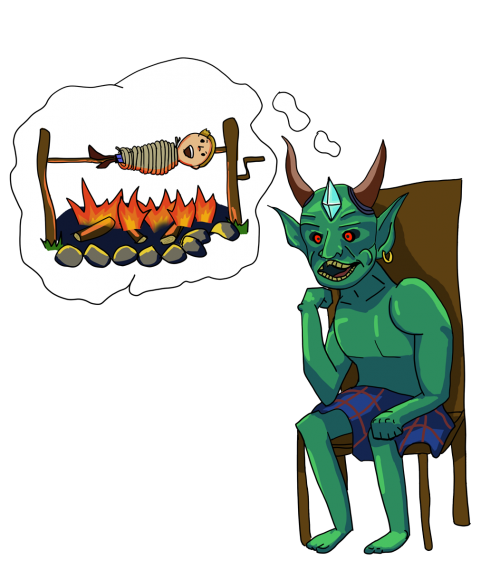 Last week, we heard more about Tick of Tick’s Tales–this week, creator Bryce tells us about Tick’s allies, enemies and the girl of his dreams! Though Gandarf shares his name with another well known mighty wizard, I wanted him to be the primary victim of Tick’s mischief. Growing up, I think we many of us had the old neighbor down the road who was fed up with the young whipper-snapper’s shenanigans. That’s Gandarf, powerful though he may be, he can’t seem to rid himself of this pesky Tick. Tick is completely reckless. His motives for trying to become a knight are completely selfish, and so my intent with introducing Bloodclot was to have that recklessness finally catch up with him. I decided to create, Bloodclot as a villain who threatens to destroy the town, kidnap Georgia McGorgeous, and make Tick his snack. Tick may try to weasel his way into becoming a knight, but in order for him to defeat his true foe, he’s going to need to dig deep. I thought it’d be great to have Tick’s love interest only means of communicating with him be through his daydreaming. This would keep the player wondering: Does Georgia actually like Tick? Or is that just his imagination running wild? Does Georgia even exist? Tick doesn’t just have one villain to deal with. Frankie Rockfist is Georgia’s current boyfriend, and also the leader of the “Super cool secret club,” a group of malicious gangsters out to subvert him on his quest to defeat Bloodclot. Tick’s Tales: Up All Knight: Meet Tick! With his adventure game debut coming in less than a week, it’s time to meet the star of Tick’s Tales from none other than his creator, Bryce Covert! 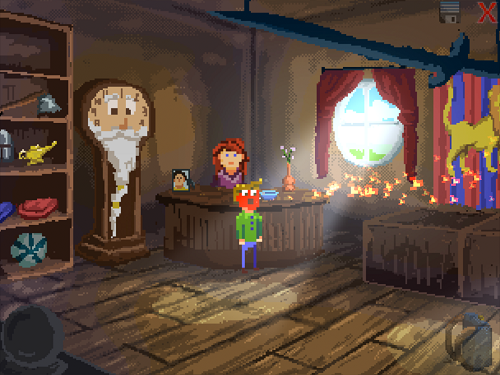 “Tick’s characterization as a troublemaker really started from the realization that most adventure game protagonists are troublemakers in disguise. You break into houses, take stuff, and often lie. 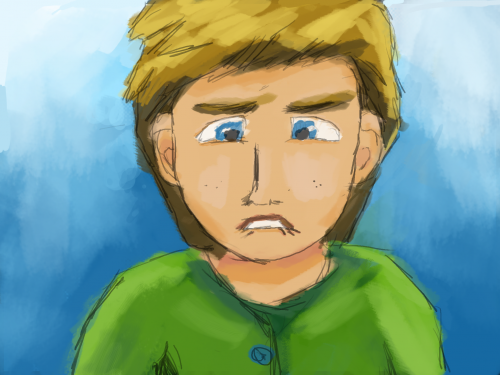 What if all the townspeople recognized the protagonist as such? 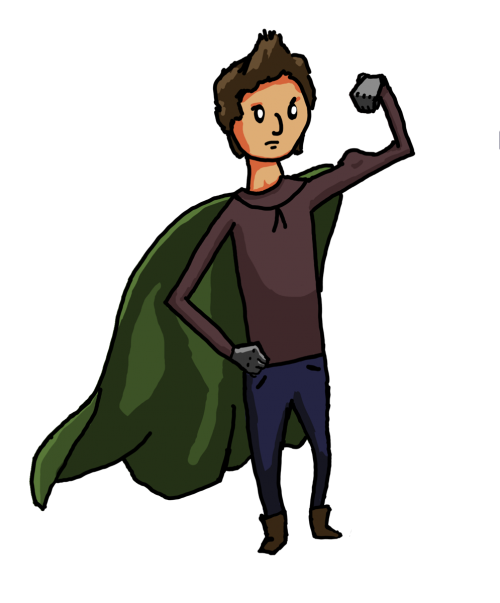 Will Tick end up doing the right things for the right reasons and becoming a true hero? Find out on June 9th when Tick’s Tales: Up All Knight releases! 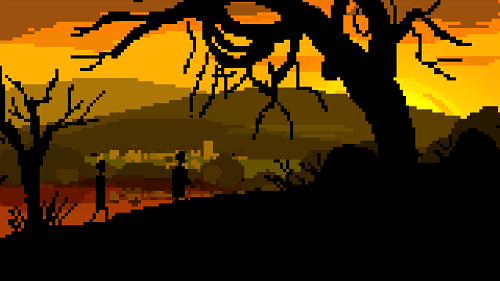 8-Bit Sword and Sorcery Adventure Tick’s Tales: Up All Knight Coming June 9th! Hear ye, hear ye! 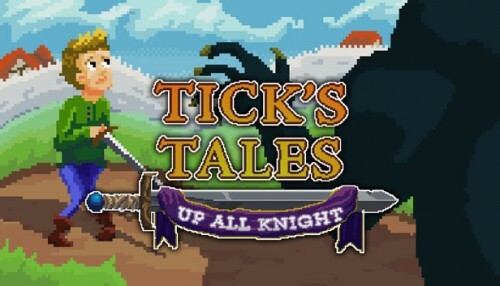 Phoenix Online Publishing and Digital Bounce House are excited to announce the developer’s premiere release of their hilarious 8-bit fantasy adventure, Tick’s Tales: Up All Knight, coming on June 9th! 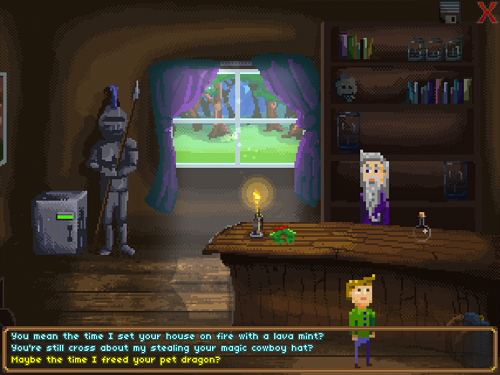 Colorful retro-graphics meet a modern comedic narrative in this send-up and homage to the classic point-and-click quest adventures. Coming to the Phoenix Online Store (store.postudios.com), Steam, the Humble Bundle Store, and other online retailers, Tick’s Tales: Up All Knight will be available for PC, Mac, and Linux $7.99. Thumb your nose at destiny, become the hero you were meant to be, and win the heart of the girl of your dreams! 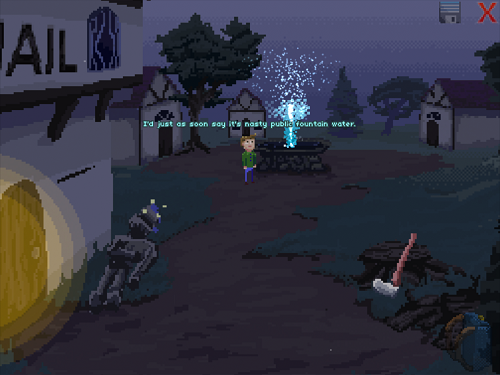 Save the town and battle the evil goblin Bloodclot with your magic sword! 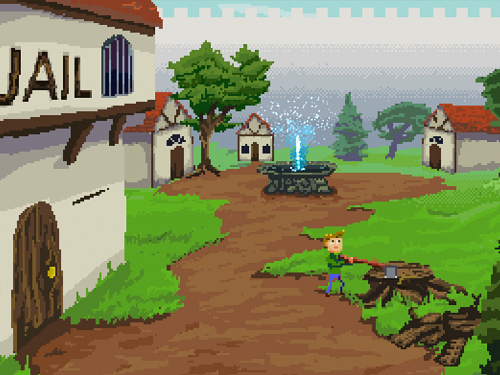 Charming retro 8-bit graphics and a classic quest. 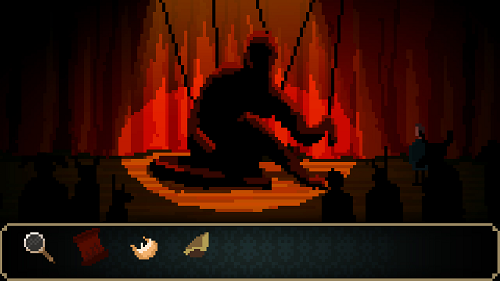 Includes a soundtrack of upbeat music to buoy the adventurer’s spirit! 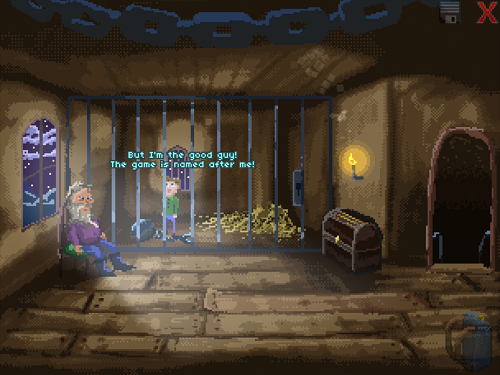 Fourth-wall breaking fun and humor—great for fans of the golden age of adventure games! The adventure begins on June 9th! 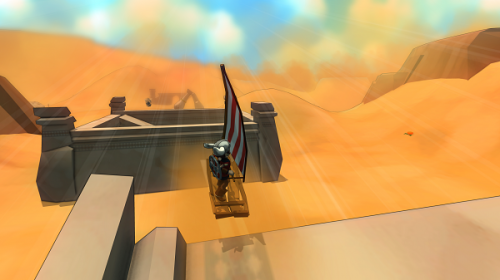 Epic Open-World Fantasy RPG Cornerstone: The Song of Tyrim™ Is Available Now! 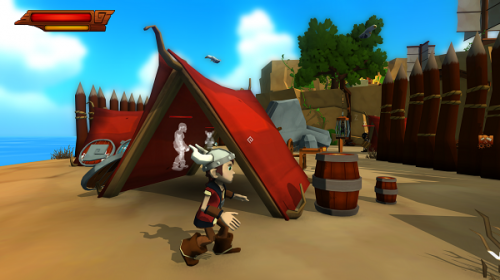 Phoenix Online Publishing and Overflow Games are excited to announce today’s release of epic action RPG Cornerstone: The Song of Tyrim for PC, Mac, and Linux! 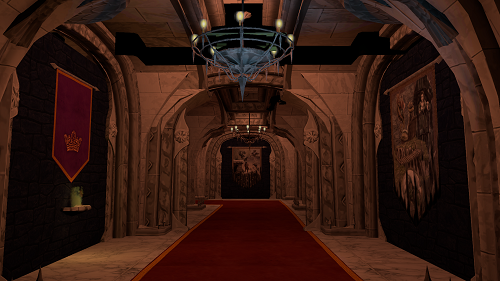 Starting as a successful Kickstarter campaign in 2013, this sweeping fantasy tale in which combat, crafting, and physics-based puzzle-solving collide has already been praised as “an excellent action-adventure game” and “a breath of fresh air in the industry.” As young Viking Tyrim, players will take on a range of wondrous quests, battle unforgettable adversaries, and experience the adventure of a lifetime in Nygard, a legendary world of wonder bursting with colorful characters, playable vehicles, and open-world adventures. 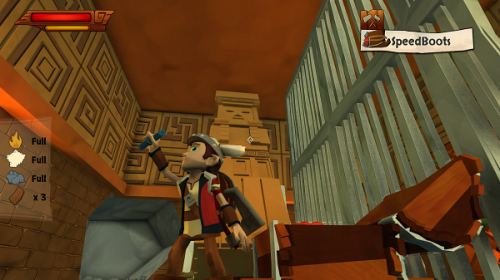 Featuring a complete crafting system that lets you build your own weapons and gear, playable vehicles ranging from ships to windsurfers, and dozens of quirky characters to interact with as you explore eight exotic islands filled with tricks, traps, and treasures, Cornerstone is now available on the Phoenix Online Store (store.postudios.com), Steam, GOG.com, the Humble Store, and other major online retailers for $19.99. The Viking men of the village of Borja haven’t been seen in weeks, and Tyrim is determined to set forth and find them: An objective that will send him sneaking deep into the heart of enemy fortresses, combing dank dungeons on a hunt for lost artifacts, and actively taking the fight to the forces of evil as he pursues an increasingly inventive range of quests. Wielding the young warrior’s crafting and combat skills, you’ll set sail on trusty galleon the Mad Goat across the seas to uncover the world of Nygard’s mysteries, collecting fabulous relics, uncovering forbidden secrets and magic, and ultimately challenging a powerful ancient evil as you quest to bring the Vikings home.